I’ll start off by saying – I am here to count my blessings. I am celebrating every moment, especially the little ones. I am celebrating the biggest blessing I’ve ever had, and sharing it with you. I am in no way complaining. That being said, I do like to find the humor in every situation. Parenting is a package deal – it comes with tougher times and challenges, but the reward is worth every bit. Throughout the past year, I’ve learned many things, and these life lessons are sure to stick with me for a very long time! Dinner might be delicious but cheerios are better. That bodysuits may be practical but they block belly access. The importance of having free, unlimited belly access. How quick I’ll need to be able to run. How to fine tune my reflexes, or suffer the breakage of many valuables. That no matter how much I spend on toys, or how many toys he has, they are still not pots and pans! 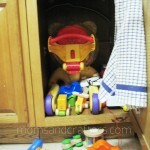 Even if I put toys in the kitchen cabinets they are STILL not pots and pans. That I might as well get another set of pots and pans. How to be really and truly selfless. Especially at 3 A.M. And 6 A.M. Actually 24-7. That food tastes so much better off the floor. How to prioritize. Food off the floor will be eaten, so there’s no point in cleaning it. The laundry, however will not be folded by my baby. The value of vitamin D (dirt) for strengthening the immune system. How to pick and choose my battles. If it’s play with the garbage or empty a box of tissues, – it’s my choice. That newborn, breastfeeding baby diapers aren’t gross. Unless it’s not your child. That I am no longer boss. That I will never be a perfect parent. But doing the best I can makes me a perfect parent. So I will be a perfect parent. How efficient and useful baby wipes are – for literally everything. That the neighbor’s child will always be more advanced than mine. But my baby will always be the most beautiful, talented, and adorable. How crazy lucky I am and how crazy grateful I need to be. How to cherish each and every moment because it disappears in a second. Are any of these all too familiar? What has being a parent taught you? 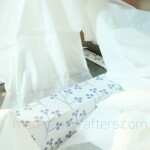 Post by Menucha Designs – Moms and Crafters. 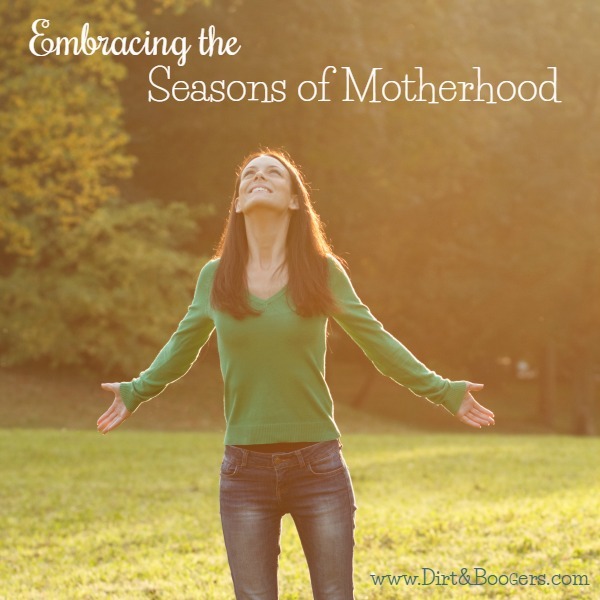 This post is part of the “Embracing the Seasons of Motherhood” blog hop. Click on the image below to learn more. Such a great, heart-felt list. Definitely resonated with me because I sat down to write my daughter’s yearly story the other day for her birthday and realized she wasn’t a baby anymore! It’s crazy how fast they grow, isn’t it? I can relate to all of those. After raising my three kids and now helping to raise my 1 year old grandson I can honestly say it never gets any easier when it comes to parenting. 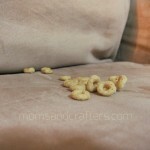 *sarcasm* Oh why bother to wash the couch or chairs? 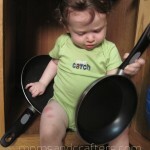 Or why bother to buy toys when Mama’s pots n’ pans are supposed to be off limits?!? And don’t you need help loading the dishwasher? I love this! These are all so true and precious. Thanks for reminding me of things that really matter. 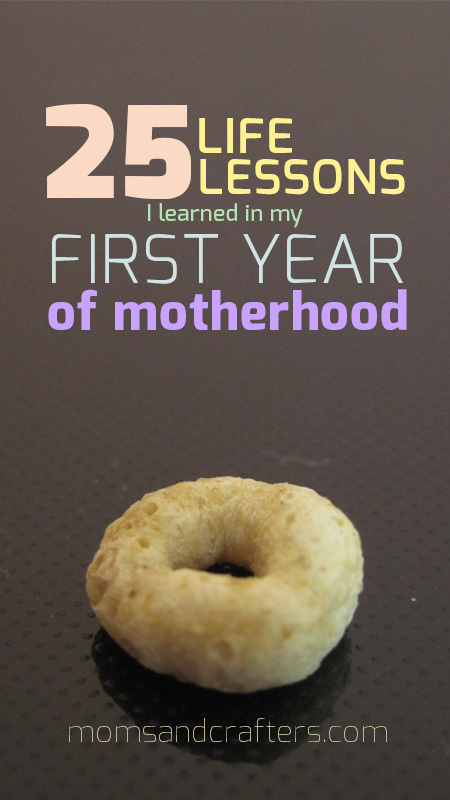 I learned so many things as a new mom and spent much of my time on those mommy blogs too. It’s definitely reassuring to hear others are going through the same challenges for those moment your ready to pull your hair out. I know it seems silly, but with my second child I learned the importance of a really great stroller. I never thought I’d be the mom lusting over fancy kid gear-but motherhood seems to surprise you often.